These are some recent doodles I've done! 7 years go by in The Nays (as of now), so we were thinking about how The Nays need to look very different from the beginning to the end and/or current times of The Nays. 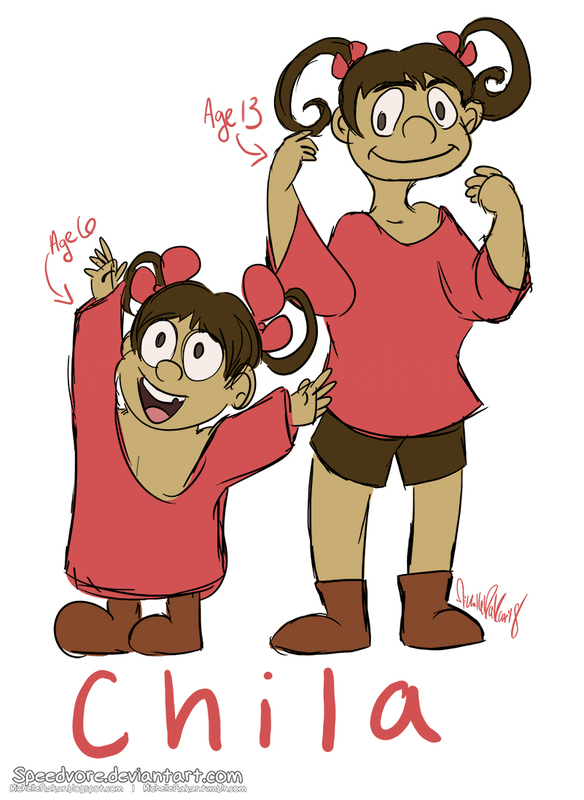 So here I drew Chila at 6-years-old and Chila at 13-years-old.